It took courage to return to legal practice after a year off, which is why Christine Wong considers her return to Herbert Smith Freehills (HSF) one of her proudest accomplishments of last year. The senior associate considers the time off as an advantage and explains in this interview just how leaving traditional law could benefit lawyers. It doesn’t even mean a lawyer should exit their current firm, she says. 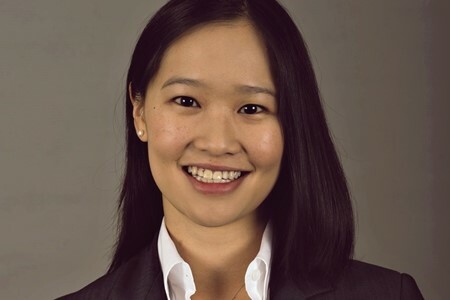 Wong also discusses what HSF is looking at in terms of working with technology and clients, as well as the challenges she sees in her practice and in the business of law. The idea was sparked when my primary school jazz band was hired to play at a family fun day held by one of the major Australian law firms. Free food, fun activities and being paid were all very attractive to a 10 year old! I also realised that my love of reading and writing were a perfect fit for law. The ability to digest and distil large amounts of information and communicate complex ideas simply but effectively are core parts of the job. 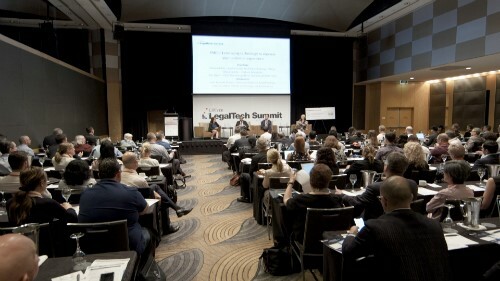 Solving a diverse array of high stakes and interesting legal problems with great teams and clients. In particular, I love being part of the team leading our firm’s response to the changing anti-bribery and corruption landscape in Australia. And as a litigator, I do love the cut and thrust of the court room. I’m most interested in the firm’s innovation initiatives. These are focused around new ways of working with technology and clients. We’re always striving to achieve the best possible results for our clients, and new technology is a great way to do it. We’re currently testing document automation products and experimenting with machine learning technologies to support our due diligence work. Having the courage to return to legal practice after a year away. I decided to move into management consulting in 2016 after having practised as a lawyer for some time. I was attracted to solving the types of business problems that I’d only had limited insight into as a lawyer. Consulting also offered fantastic opportunities for developing a new set of skills, both on the job and through formal training programs. For instance, I was lucky enough to do a two-week business skills course in Barcelona. While I learned an incredible amount in my time away and met and worked alongside a diverse group of people, I realised how much I was missing legal practice. It was a hard decision because I was still enjoying the change and I could see the breadth of potential opportunities that it was opening up. However, the very conscious and considered decision meant that I now have a renewed commitment to my legal career. Being less reluctant to experiment and being able to view “failure” in that context as an opportunity for learning and growth. Taking yourself completely outside your comfort zone may not feel fantastic at the time, but it is hugely beneficial in that it forces you to try new things and understand an entirely new perspective. I think this can be a huge differentiator in a law firm where the vast majority of people tend to have similar professional and educational experiences and backgrounds. I achieved this by exiting legal practice altogether for a period, but I think it can be achieved via a secondment or some other international experience that is particularly challenging in some way. Providing fantastic lawyers with attractive career and development options in circumstances where the legal industry is in a lower growth phase, and finding new ways to demonstrate to clients value delivery that is not tied to billable hours. Seeing how law reform develops in the anti-bribery and corruption space in Australia, particularly the introduction of deferred prosecution agreement schemes and changes to the foreign bribery offences. These changes will mean companies are more at risk of liability for corporate crimes than ever before, and there will be an expectation that companies self-manage their corporate crime risk. That’s an equally exciting and challenging prospect for Australian businesses. I’m looking forward to helping our clients navigate this changing landscape.